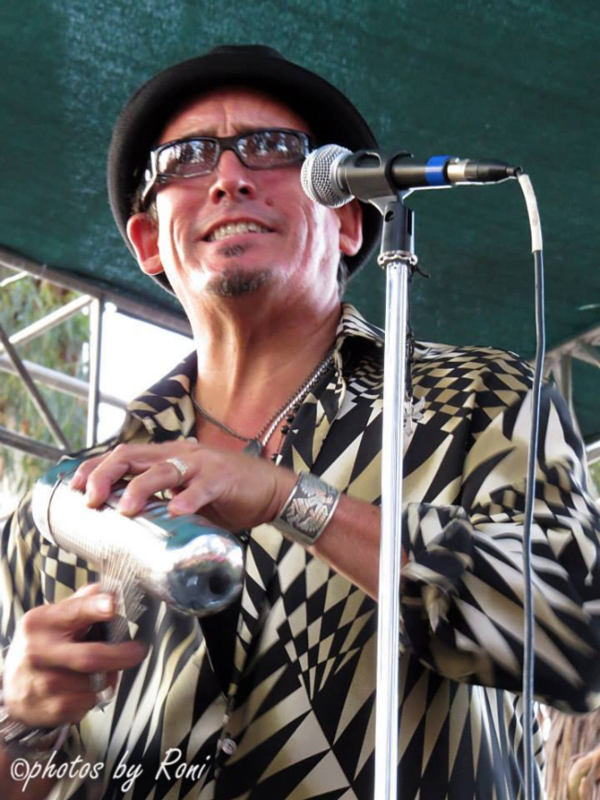 Raul Rekow, world famous conguero for Santana will once again be performing with Caravanserai at their upcoming show headlining for Harrah's Reno Friday September 27th. This show will be huge at Harrah's famous outdoor Plaza Stage during the Street Vibrations Festival. We are excited to announce that the incredible L.P. artist Raul Rekow will join Caravanserai and Ruckatan for the 2nd Gathering of the Tribes Concert @ Club Fox in Redwood City this Saturday September 7th @ 8 pm! This is gonna be an Epic night of live Latin Rock & World music! 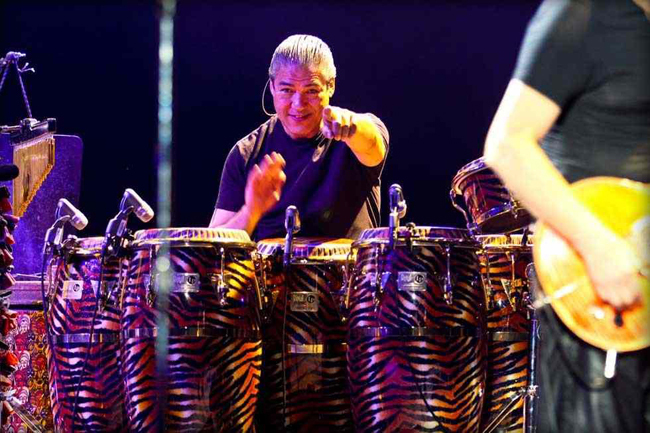 Raul Rekow has played congas with Carlos Santana since 1976, participating in the groundbreaking melding of Latin, rock and funk styles that characterizes the band's history. For over thirty years Rekow has added his pulsating and colorful rhythms to the Santana sound that has captivated audiences on five continents. Initially self-taught, Rekow learned about Cuban percussion from fellow Santana veterans Armando Peraza and Orestes Vilato. He passes on that knowledge at LP sponsored clinics along with fellow Santana musician and LP artist Karl Perazzo. The duo feeds off of each other's energy and talent, resulting in a kinetic performance whether live in a clinic or on their best-selling instructional video From Afro-Cuban to Rock. Their presentations have become immensely popular because of the combination of top-notch expertise and an easygoing sense of humor. 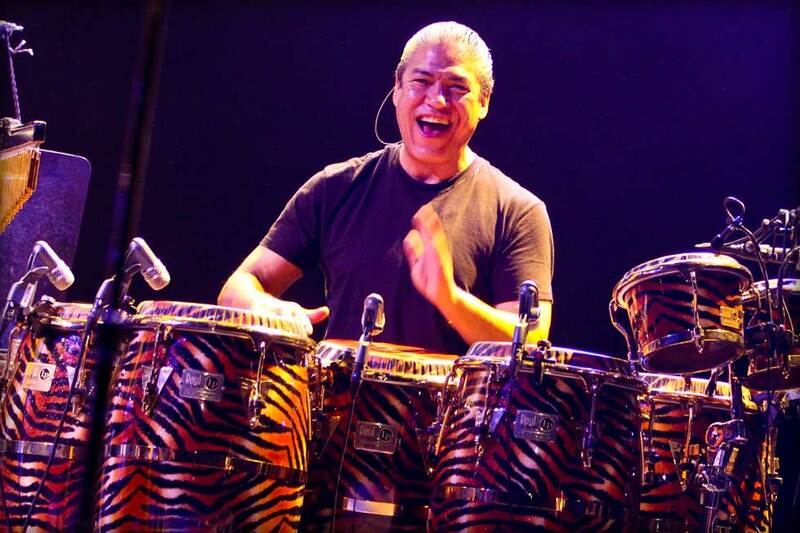 Raul teamed up with LP to create the LP Raul Rekow Signature Congas and Bongos featuring a vibrant tiger print. Check out this radio spot for our gig this Saturday, June 1st. Check out this years radio spot for Thursday's Montgomerey Village show. To our fans: Due to family health issues our performance Friday, February 17th 2012, at the Powerhouse Pub in Folsom CA has been canceled. Here's a radio spot for our October 8th gig at the San CarlosArt & Wine Faire. Check out this radio spot for this Thursday'sgig at the Montgomery Village Summer Concert Series. Our longtime bassist and singer Hank Gibson has chosen to resign, and we have two new gentlemen to introduce to you all: Carlos Elizalde on Lead Vocals and Bassist/Singer Ray Uribes (who was a Caravanserai alumni 8 years ago) They will be making their second appearance with the bandSaturday July 9th at the Brentwood Cornfest at 8:00 p.m. at the South Stage. Check out this radio spot. It is well documented that two of the late 1960's and early 1970's icons from the San Francisco Bay Area music scene, SANTANA and TOWER OF POWER often found themselves together on concert bills at The Fillmore, The Avalon, Winterland, Pepperland or other "dance halls" and theaters around the Bay. 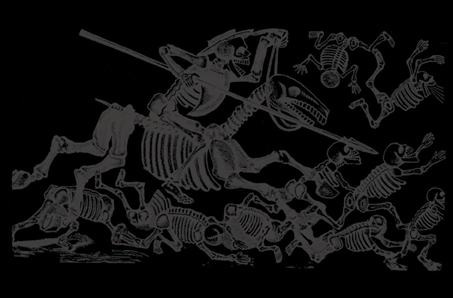 They toured up and down the West Coast and across the United States and often, were paired up. By the nature of their original music, they were a bit different than their S.F. peers, like The Dead, The Airplane, Steve Miller Band, Quicksilver, and Janis' band, Big Brother & The Holding Company. 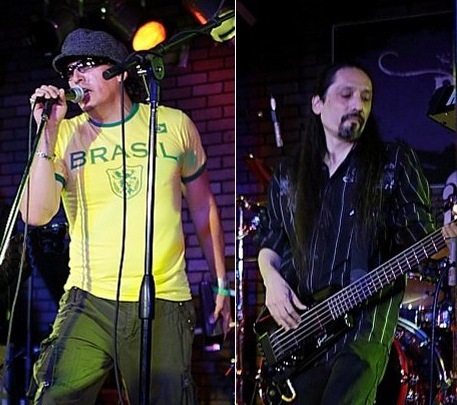 Carlos infused rock with his Latin music roots, while TOP was a big, funky R&B horn band. But, somehow, they fit in "the scene" and became part of the mystique and legend that defined the era and "the San Francisco sound." Rarely, if ever, will you see these two legends together in today's concert scene. 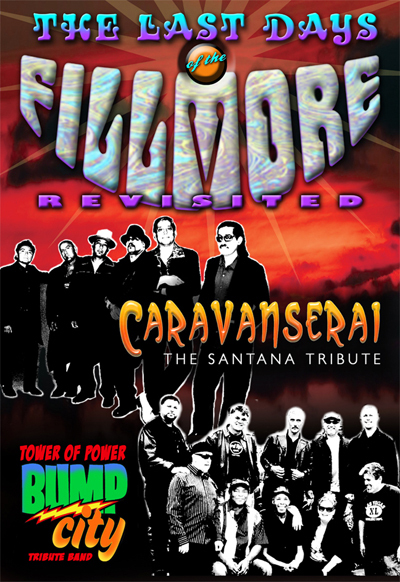 But NOW, Tabletop Productions has made a long ago "dream come true" with the introduction of THE LAST DAYS OF THE FILLMORE REVISITED, Starring CARAVANSERAI (The Santana Tribute) and BUMP CITY (A Tribute To Tower Of Power). Like the originals, these two bands are bound by their common roots in Northern California. And like it was so many years ago, these two tributes are recreating a little bit of music history by pairing together for an exciting, unique, concert experience. As the music of the two legends were in San Francisco's "hey day," Caravanserai and Bump City are a natural pairing of two musical styles that continue to be among the most popular sounds of today's music. The Latin music explosion of recent years has fueled Carlos Santana's return to the top of the charts. Tower has continued to record and tour since day one. Even with numerous changes in personnel, with some originals leaving and returning years later, the band has always featured great musicians and commanded immense respect from fans and peers alike. Now we have the opportunity to see and hear the music LIVE, side by side, on stage, playing that familiar music from two groups that helped to write popular music history . . . .
Caravanserai was privileged to be interviewed by Kids Talk Radio's Bob Barboza while at the 2011 NAMM show. Check out the interview and write-up/review here: Kids Talk Radio.